Order in the next 2 hours 50 minutes and your package will ship on Friday, April 19. 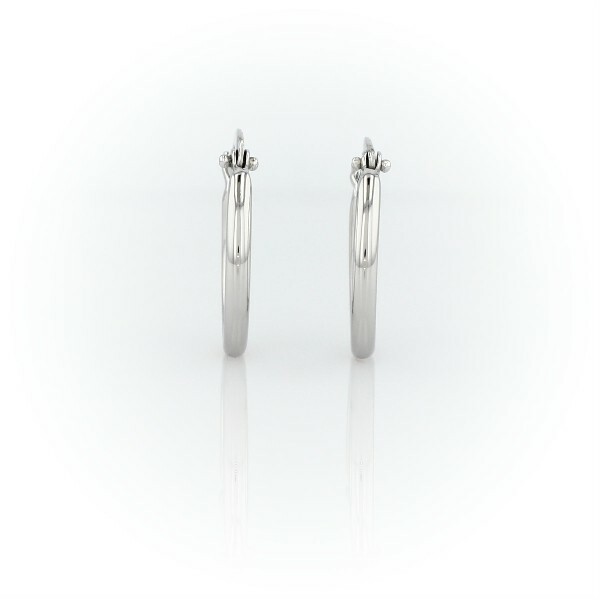 An everyday essential, these mini platinum hoop earrings are the perfect pair. The hypoallergenic nature of platinum, lightweight hollow tubing construction, and petite size of these hoop earrings make them comfortable for regular wear, with a latch back post that's secure and easy to operate.